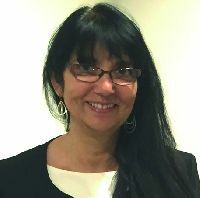 Heather-Jane Ozanne is CEO of the charity Spirit of Peace (www.spiritofpeace.co.uk) and a facilitator at Wise Conversations. She has worked at retreat centres including The Ammerdown Centre, Somerset and St Ethelwolds House, Abingdon. She is part of the team that delivers the week long residential Oxford Three Faiths Encounter. Currently serving on the work and discernment group of Living Spirituality Connections Heather-Jane has co-produced a book based on autobiographical accounts of peoples contemporary journeys of faith with CANA (Christians Awakening to a New Awareness). Heather-Jane is a mother of two adult children and a member of the Lay Community of St Benedict. She flourishes when working with others for the common good, encouraging people on their journey in life as well as when facilitating and taking part in “Transforming Conversations” which can lead to deeper connections and wise action. There is a shift underway in spirituality today, from a heaven-focused spirituality which placed great emphasis on transcending the world and the human condition to one which leads to an appreciation of the interconnectedness of all life and deeper engagement with humanity, and a realization of our place within the whole cosmos. This shift in emphasis is leading people to a greater need and the desire to work together for the common good and a world where all can flourish.